Love them or hate them the Kardashian-Jenner Style has definitely been an influence the last couple of years. From fashion statements to hair and makeup we all may have tried one of their trends. But today we were just scrolling on some of the looks they rocked with rarely found Louis Vuitton Bags! We could not begin to write the article without including this one of a kind moment. Kim Kardashian and Paris Hilton in 2006 hitting the town with their GM Metallic Almas, nearly impossible to find. Big enough to fit whole outfits for an entire weekend, we used to obsess going out with our besties and matching our Louis Vuitton Miroir Alma GM bags. Despite the fact that we want to look that good at the airport, the Louis Vuitton Canvas Hat Box. Gives us the vintage vibes to travel the countries. Perfect looking and one of a kind, Kim rocked this bag as well. 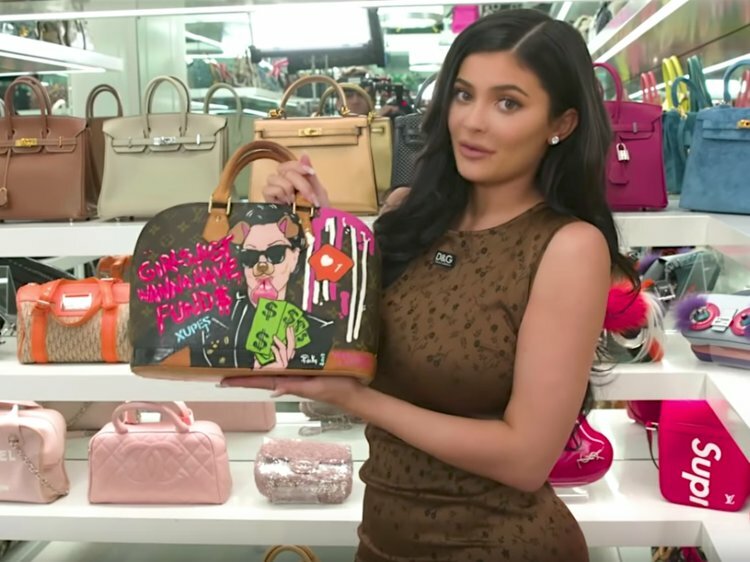 The youngest of the klan Kylie Jenner looks fresh and on point with Louiss Vuitton Cherry Bag, first came out in 2005. Cherries bring a youthfulness to the look and it has us hooked. Maybe through out the years the bags we decided to carry got smaller by month, but can’t deny that Kendall know how to look amazing with The Louis Vuitton Murakami Mini Speedy created in 2003 by than creative director Marc Jacobs. Just enough to hold your credit cards, at the end what else would you need for a casual night out? We love it. 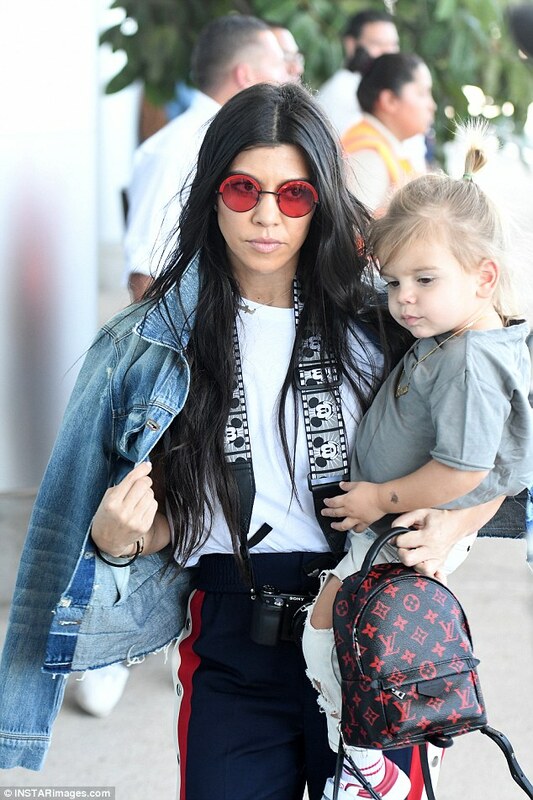 Bagpacks are huge this year and Kourtney is always on the latest trends. This red and black Louis Vuitton bag fits to sporty and casual all times. We don’t know why, but never seen before Louis Vuitton makes us happy on a Saturday Night! Khloe may be different from the family and she definitely has the ways to show it. This Limited edition bag is very special and another celebrity that had this bag is Rihanna. At the end, maybe it is true, Mother Knows Best. Kris Jenner looks fabulous in the NeverFull LouisVuitton blue… A staple that never goes out of style has got to be in your collection. This bag is the latest trend of fashion and who more than Kendall could shine with fashion trends? Take a look. Kendall in a daily look, at Met Gala party etc, on fleek with Louis Vuitton Monogram Alma bb. That means she loves it, and so do we. She looks amazing. what do you think? Khloe Kardashian looks gorgeous in this look. Perfect bag to take with you in airport, very comfy and beautiful. 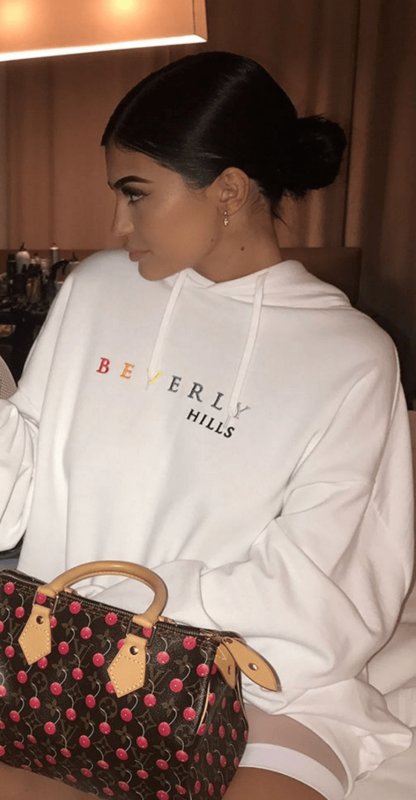 Which one is your favorite Louis Vuitton Bag from the Kardashian-Jenner Family?